GTC sponsors Procam have announced the acquisition of Leicester-based lens service and manufacturing facility True Lens Services (also a long-standing GTC sponsor company). With lenses at the heart of television, drama and film production, the move allows Procam to deliver the latest British lens engineering innovation direct to its client base. This is the first time a UK hire company has acquired engineering capabilities and addresses the surge in demand from UK production companies to create content with the higher production values often associated with films. The 35mm lenses that have always been used in film production are now increasingly being used in TV to create this same look. 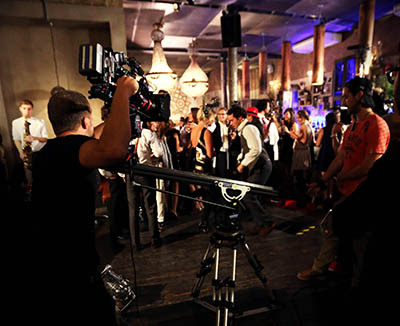 The cinematic style of shooting is now commonplace within factual productions, documentaries and constructed reality series as well as dramas, a style Procam helped to introduce to the constructed reality show Made in Chelsea. True Lens Services is famous for its lens innovation, with an unbeatable reputation in the design, manufacture and servicing of lenses and support equipment. This year, the British company created a bespoke digital conversion of the classic 1950’s Cooke Speed Panchro lens for the Oscar-tipped Mr Turner (2014). Its first-class lens engineering capabilities can also be seen in The Bourne Series (2002–2012) and the James Bond film Casino Royale (2006) which both featured the custom designed Morpheus lens. The acquisition of the company will enable Procam to support its long-term product development strategy by offering bespoke lenses and tailor-made packages to its client base. The move will provide new lens solutions to the shooting challenges the UK production industry faces on the frontline. Procam has been providing camera equipment and crew to many of the biggest broadcasters, production companies and blue chip organisations throughout the UK and internationally for 25 years. It is an approved supplier to the BBC, BSkyB and ITV. The acquisition of True Lens Services signals a new move into lenses by Procam and is the latest in an ambitious technical growth strategy. It follows the successful geographical expansion with the acquisition of Hammerhead TV in Scotland last year. The strategic purchase was led by Procam’s Group CEO, John Brennan and backed by private equity firm, Foresight Group (www.foresightgroup.eu). Colin Sanders and Keith Truslove, founders of True Lens Services, will remain involved in the business as the company is incorporated into the wider Procam Group.